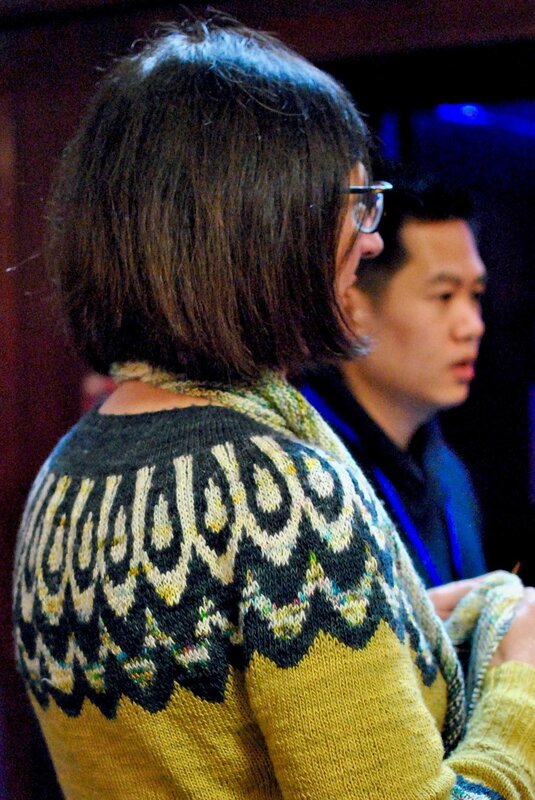 She's from Blacker Yarns, she's at the Podcast Lounge, and she knows her woolly onions!! Tell us little bit about you! When did you start to work with Blacker Yarns and what does your job entail? 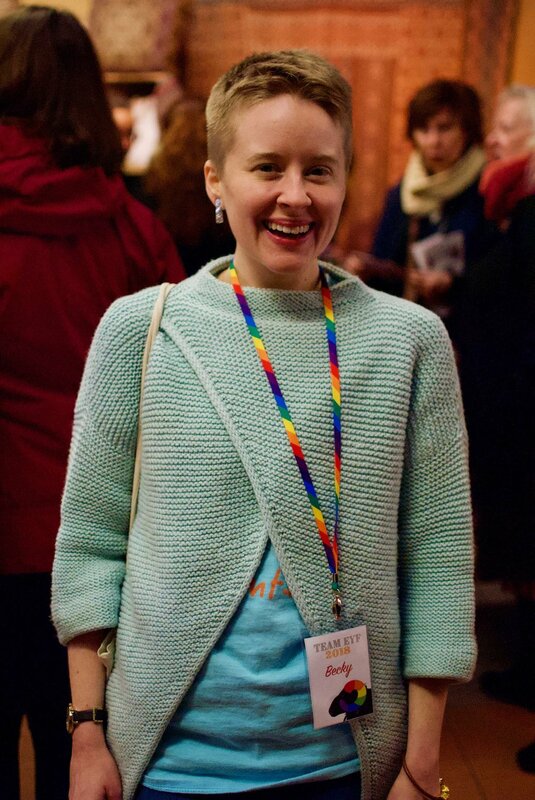 I joined the Blacker Yarns team in April last year, although I also helped out on the stand at EYF before that , so my face might be familiar. My job is different every day, from communicating with our lovely customers through email and social media to maintaining the website and developing new products and colour palettes. A lot of the past year I've been working on refreshing Blacker's knitting pattern offering, which includes everything from tech editing and graphic design to working with sample knitters and planning photoshoots. There's no such thing as a boring day at work! Oh yes I sure am. 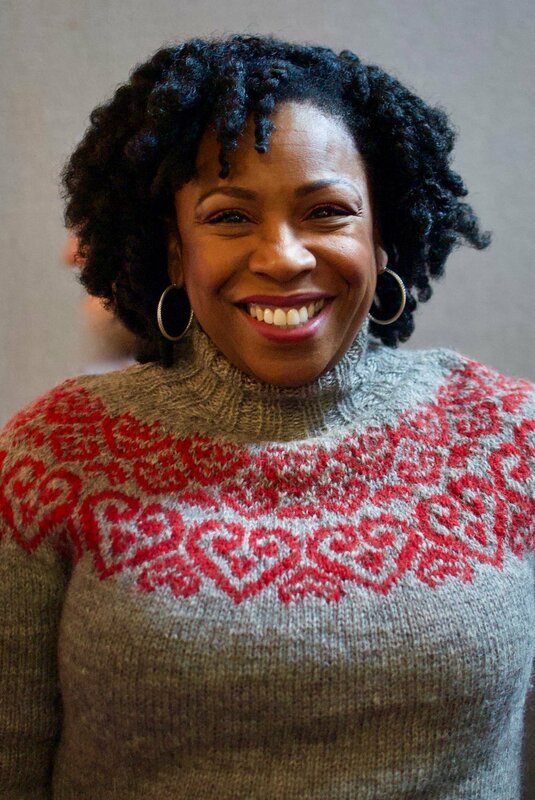 My Grandma taught me to knit when I was very young, but the obsession really took hold when I started making garments. I love being able to make things I actually want to wear, with materials whose origin is completely traceable, so every piece in my wardrobe has a story. I no longer buy ready-to-wear clothes, and that's incredibly liberating. What's currently on your needles? Too many things! I've got a bit of second sock syndrome on my Polgooth Socks by Sonja Bargielowska, and I'm avoiding that by making a Conifer Jumper, adapted from a gorgeous baby pattern by Ella Austin, and a jumper using our Mohair Blends doubled up with some Viola hand dyed Mohair Lace. 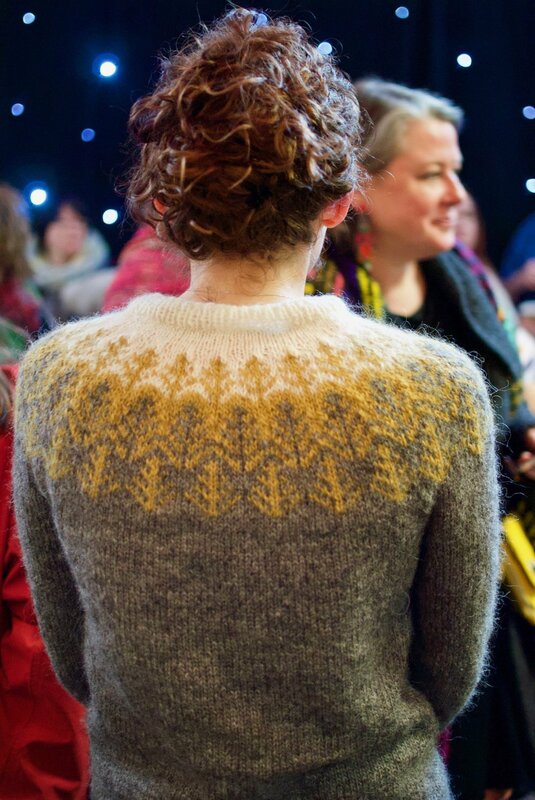 What will you be wearing at EYF in terms of hand knits? 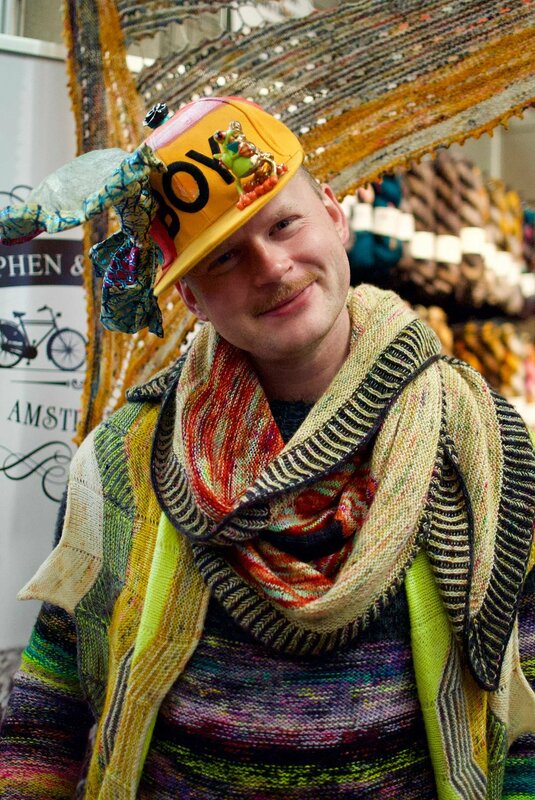 We know you are a talented illustrator too - are all your illustrations knitting related? Aw thank you so much. It's true that knitters might know me from the illustrations I've been honoured to make for Pom Pom Quarterly, but I do lots of artwork that's not knitting related too. I mostly make comics and zines, and I wrote the graphic memoir Lighter Than My Shadow, which was published in the UK a few years ago, and just last year in the USA. Is there a breed that BY would absolutely love to spin up, but which is very scarce or impossible to get in the UK? We have spun most British breeds and are really happy to have helped increase numbers for Boreray and Soay in particular. We’re just about to do some Devon Closewool for the first time and we are looking to try and get some Hill Radnor. We are also looking to the finer fibres such as Polwarth, Merino and Isle de France when we can find them in the UK. Blacker’s own flock are Gotland sheep, right? Why do you keep them? Sue has had Gotland sheep since she first started, and like many people she found them because she asked someone about getting some sheep and they were very good at selling! The Gotland is managed mainly for wool in the UK and has a wonderful silvery lustrous long grey fleece. For the smallholder they are occasionally challenging to maintain in tip-top condition due to their longer wool, slower development, delicate feet and their insatiable curiosity, but this is also very rewarding because being a primitive breed they have more intelligence and personality than many of the more commercial breeds. They are also more long-lived, which is a great pleasure. We are expecting a lot of overseas visitors for EYF. Which of your yarns would you recommend them to try as introduction to British breeds? I think it’s very much down to individual taste and the kind of projects people have in mind. Here at Blacker we pride ourselves on the fact that all of our yarns feel quite different, and we like to use the different breeds in yarns which enhance and make the most of their unique characteristics. If someone is looking to try a British breed yarn for the first time, we can help them find the breed or blend that is just right for their project. What makes British breed wool unique to work with? I love the diversity of British breeds, which offers a great deal of interest for the knitter. It not only means that you can enjoy a lot of variety from one project to the next, but it gives you a lot to consider in terms of durability or softness, lustre and drape or bounce and warmth, and you really can find something that is just right for your work, whether that be tough enough to last a lifetime, or soft enough for a newborn baby, and everything in between. 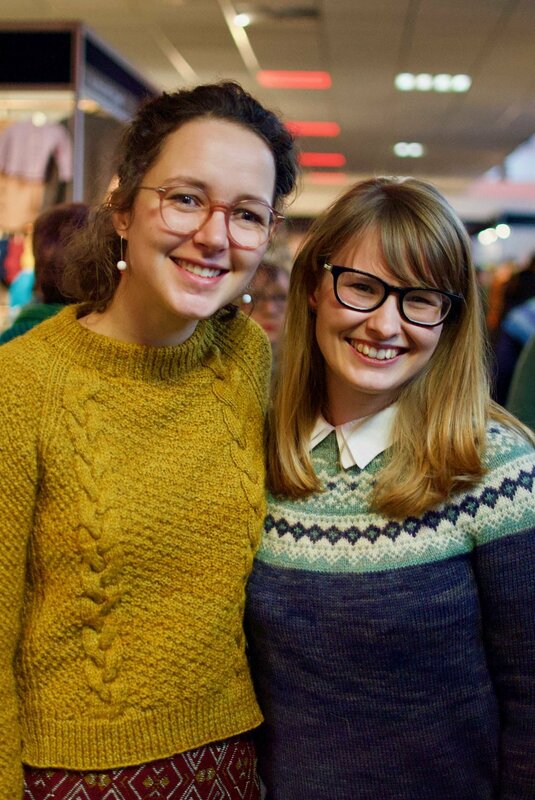 You're coming to EYF for the 3rd time this year (which we are so excited about!) - what makes EYF special for you as a producer? 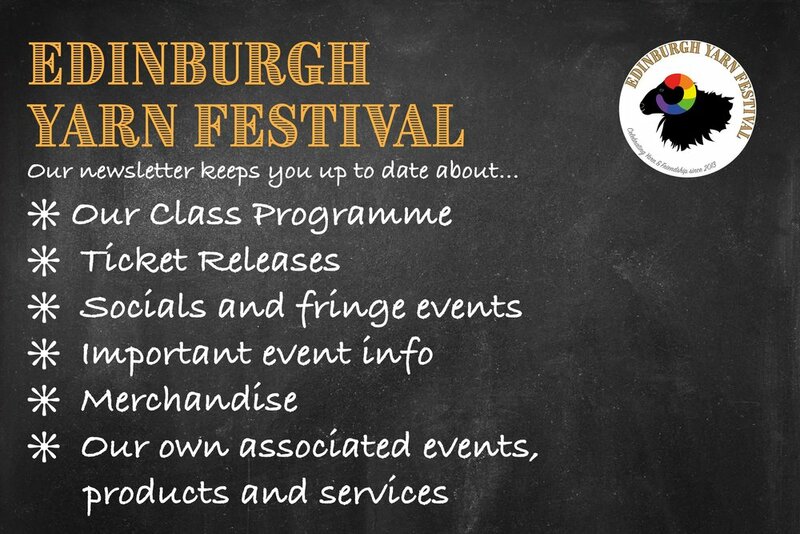 EYF is such a special festival, and a highlight of the year for us. It’s so great to see visitors from all over the UK and an increasing number from overseas as well. Of course, one of the things that has made it so special for us is being able to sponsor the podcast lounge. The online community is such a great source of inspiration and friendship for many knitters, and as a yarn brand that community is so important as well. 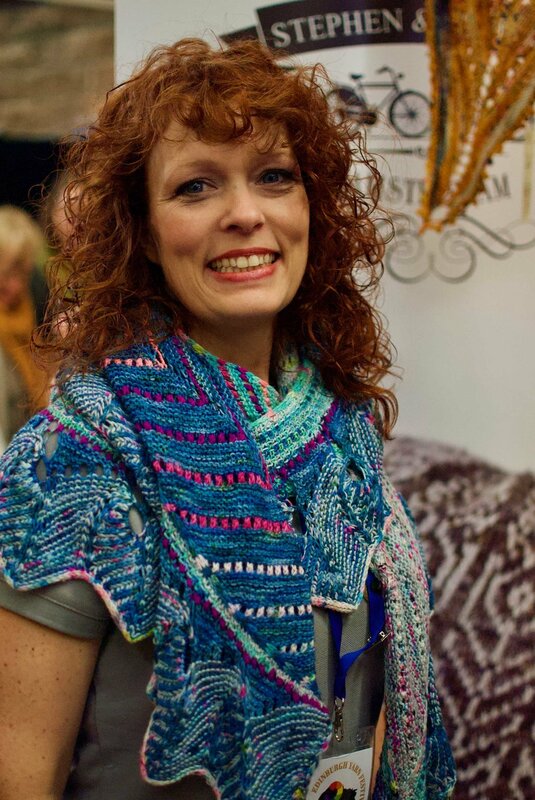 We love meeting our customers face to face, seeing the projects people have made, and of course the yarn they choose to take home for their next projects. Apart from BY’s involvement as sponsor for the Podcast Lounge, what can visitors expect to find at your booth? As well as our range of yarns, we’re excited to be bringing all the samples of our refreshed patterns to this year’s EYF, along with a few new additions that we’ll be launching at the show. We’re also really excited to be launching a new yarn at EYF this year. I can tell you that it’s a breed specific yarn, and a new addition to our permanent range with very exciting potential for playing with colour…stay tuned on our social media over the next few weeks for more news on that!